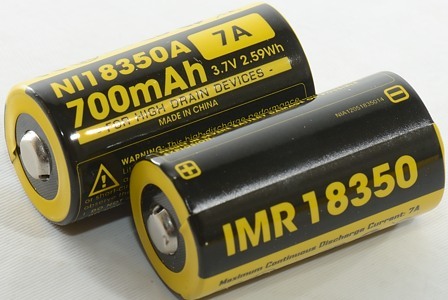 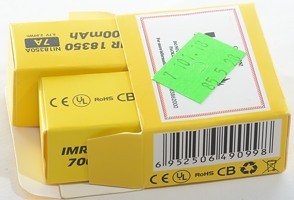 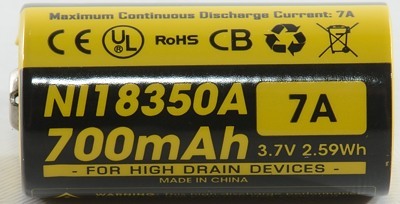 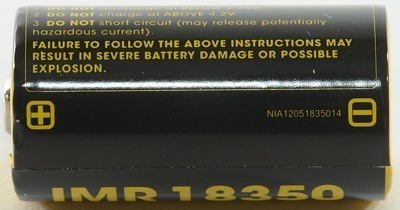 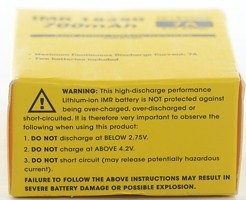 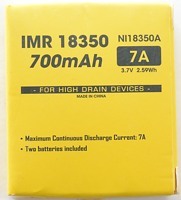 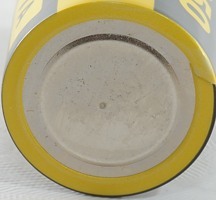 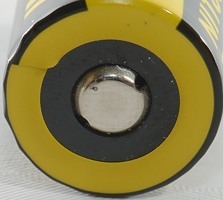 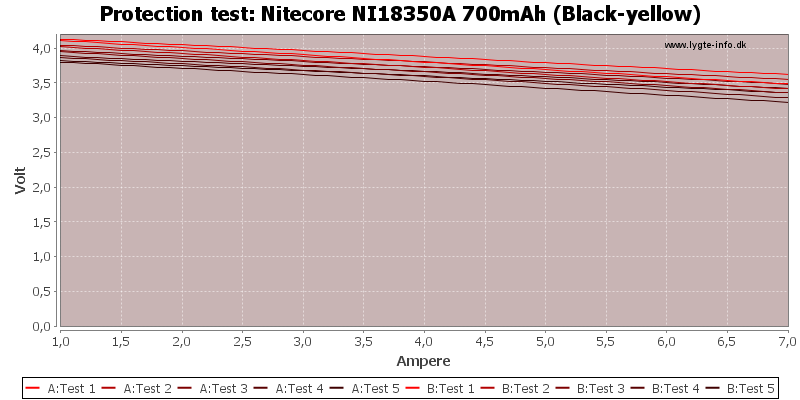 Nitecore do also have a 18350 cell and it is rated for high current, but I could not found it on their website. 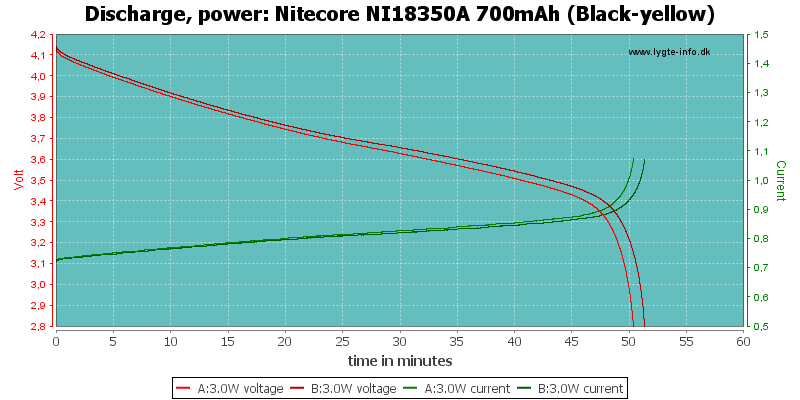 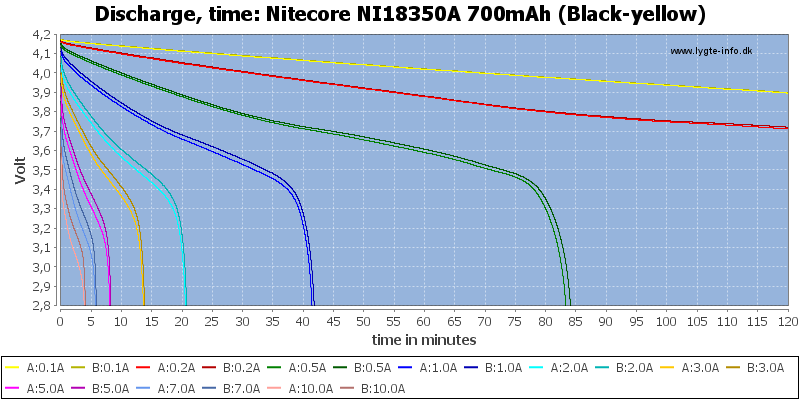 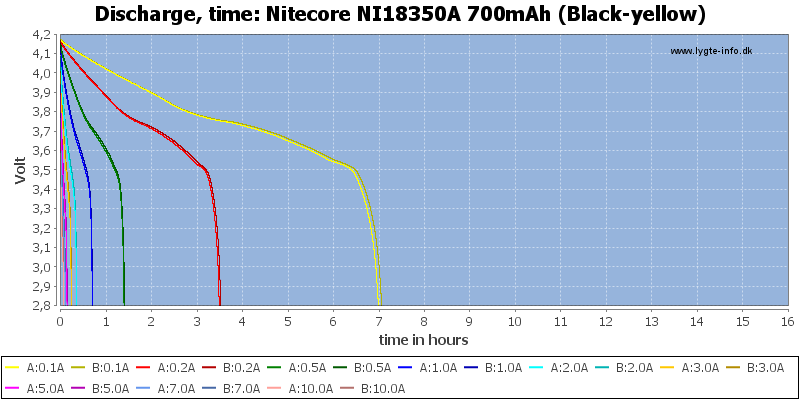 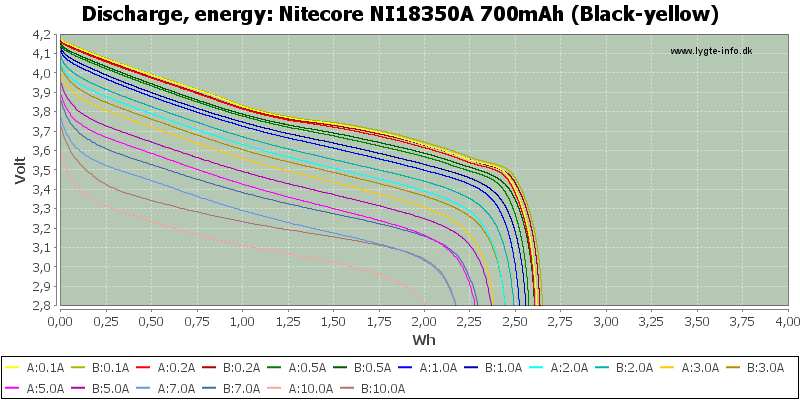 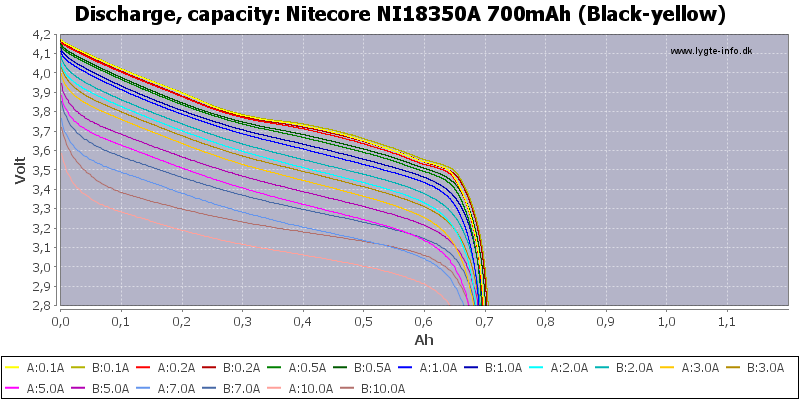 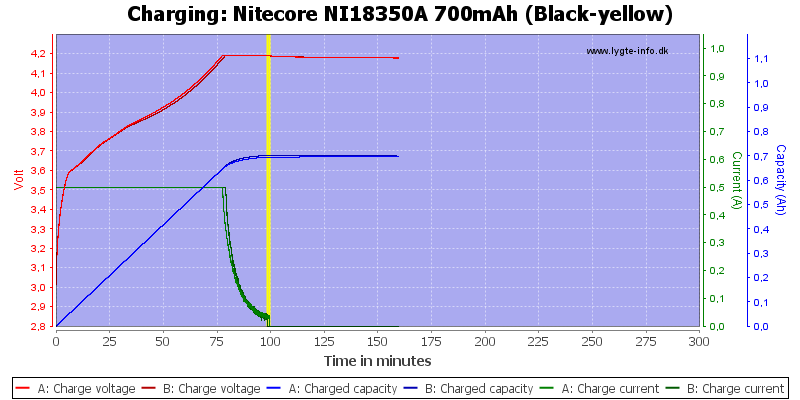 Capacity is nearly constant at any load (nice), but the two cells do not track that well at high current. 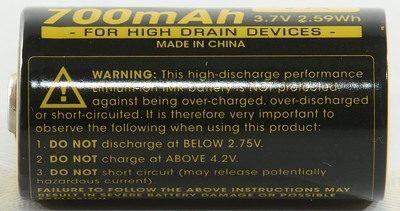 High current capability is good, capacity is average, but the tracking between the cells is not that good at high current.